I wasn’t prepared. 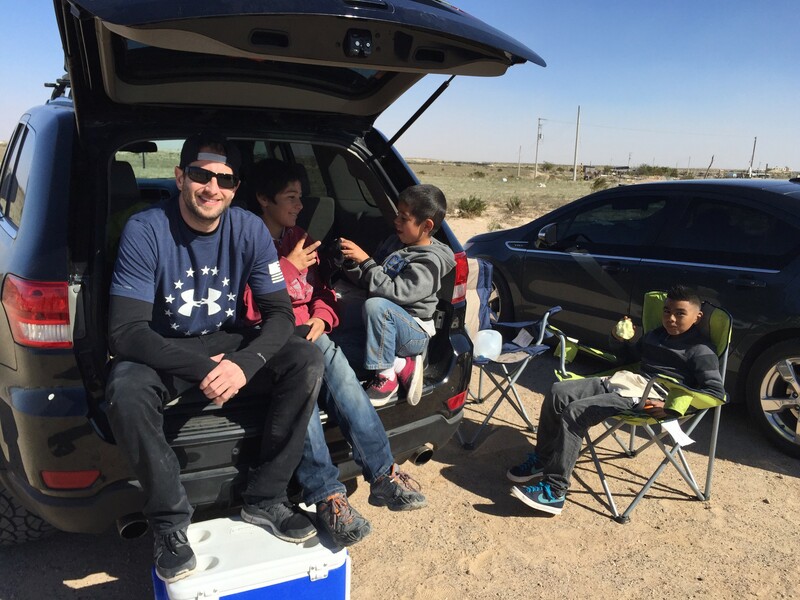 The trip to Puerto Peñasco, Mexico that I had cobbled together in partnership between PHX Startup Week and 1MISSION had snuck up on me at the tail-end of the most terrible month I can personally remember. I told my wife, Nicole, that I wanted to check-in to the hospital for a couple weeks because that seemed like the only reasonable excuse for disappearing without having to explain myself. I was serious. Like I said: Not prepared. But, there I found myself a couple days before hitting the road, calling the people who had committed to the trip, wholly unprepared myself. Of course, this wasn’t complete without more challenges and cancellations leading all the way up to the day we were to arrive, either. Honestly, were I not the one organizing the trip, I very likely would have been one of the people who canceled going myself. “Let’s just hit the road and you’ll feel better,” Nicole encouraged. Fine. 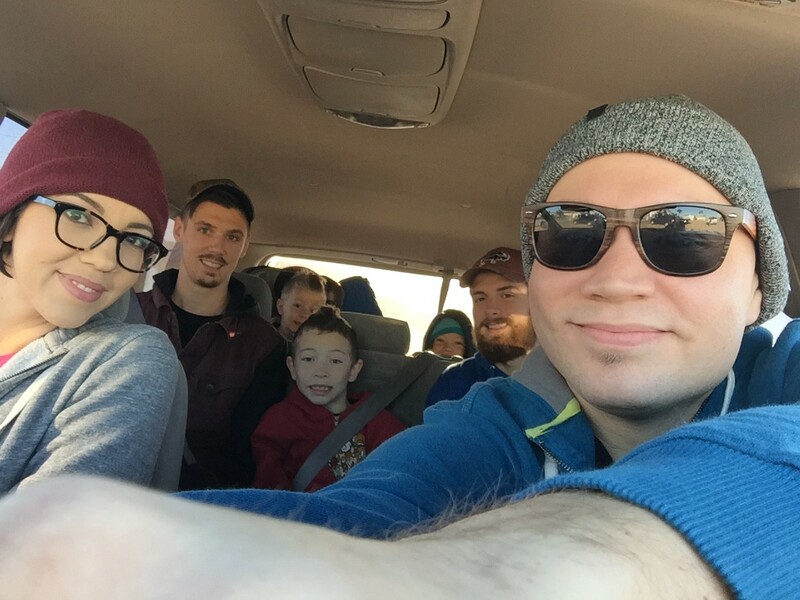 Like a whirlwind, with our three kids, two friends, and far too few warm clothes, we were on our way across the border. After a fairly easy drive, as soon as we walked into the 1MISSION base camp with my sleeping youngest slouched over my shoulder, we were greeted by friendly and familiar faces. Mario and Kelly Martinez, Dan and Amy Tyre, Ken and Ron Robertson, Rafael Testai, Allen Plunkett, as well as the founder behind the organization putting us up, Jason Law. We were also greeted by people I knew only by name to that point, but that I quite enjoyed spending time with and meeting during the trip — Jeremy and Roshana Whittaker, Blaine Light, Matt Owens, Dr. Joshua Steinberg, Kenny Plunkett, Julian Davis, as well as the incredibly dedicated 1MISSION family. Stephen and Rachel Viramontes, along with their three kids, as well as Nate Hughes and his youngest son joined us the next day, too. In addition to me, Nicole, our three kids, and our friends, John Arnold and Eric Paliga, it actually shaped up to be a small but mighty crew. I was already feeling better. 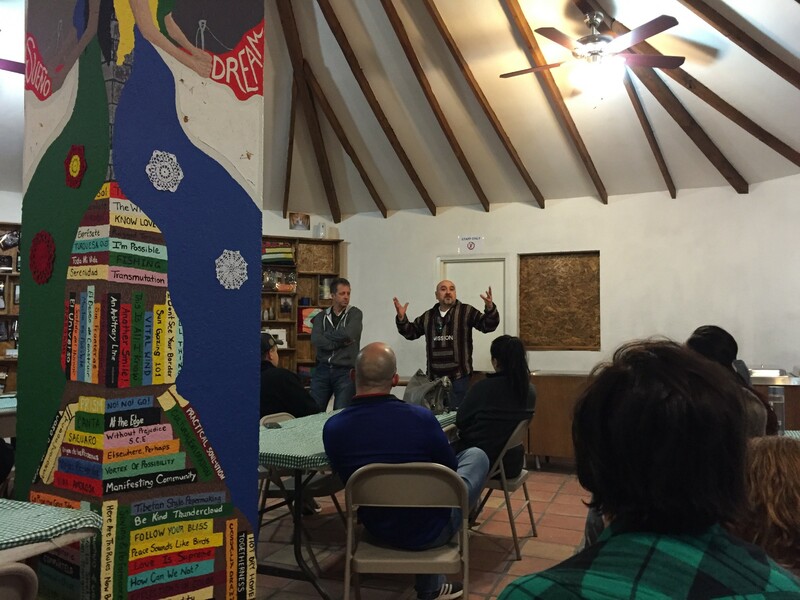 Jason welcomed us kindly and shared more about the mission we had come to join and their philosophy behind it. This wasn’t about just giving a house to someone. We were partnering with individuals and communities to lift themselves out of poverty. Right from the get-go, Jason reinforced that we were not the heroes, but that the family we were serving was the hero of this story. We were just their sidekicks, if you will. After an efficient breakfast, we caravanned to the job site. Once again, I found myself thoroughly unprepared. “Are those their houses,” my son, Tolan asked? “Yes.” But also, No, I thought. Those aren’t houses. They’re barely shelters. In bad weather, they wouldn’t amount to more than a tattered umbrella. The barrio in which we found ourselves was the location of a former dump, where trash lined the views every which way you turned. Stray dogs begging for scraps were common sights, as shaggy and mangy as they come. Children from the barrio were not far behind, either, selling small gifts and food as a means of personal and familial survival. 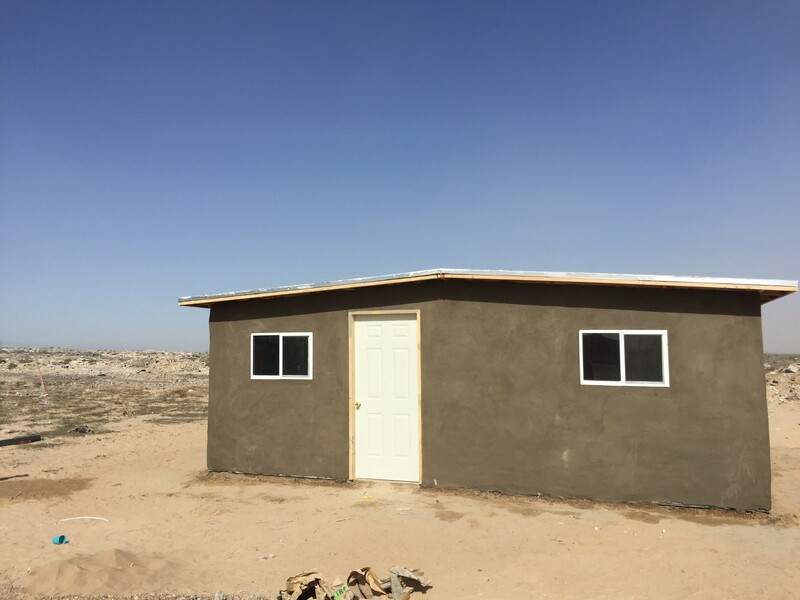 We finally reached the site at which we were going to build Brenda and Fausto’s new home for them and her four children, Dorian, Carlos, Daniel, and Angel. 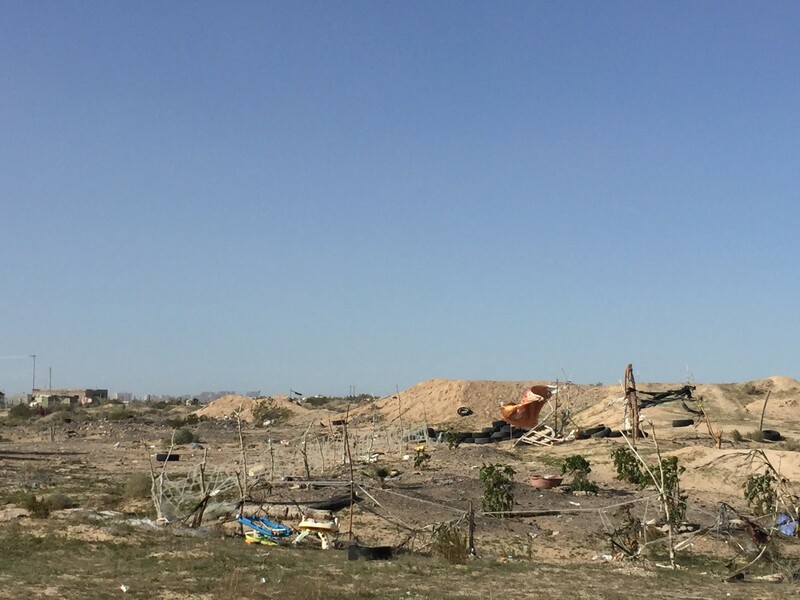 As we arrived, all that awaited our caravan were tools, building materials, and a square block of wood that outlined where a house would stand just two days later — as impossible as that seemed at the time. 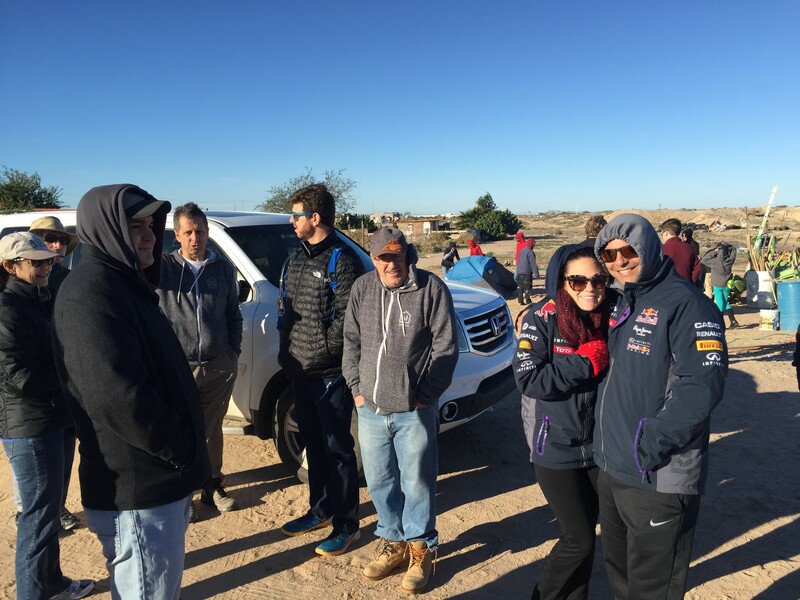 We huddled together as the 1MISSION crew gave us our instructions, beginning the day’s work. 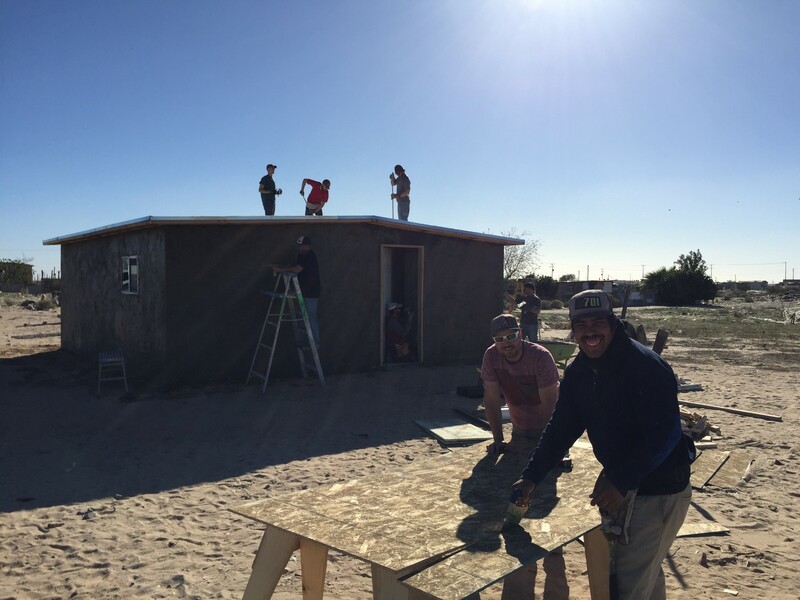 During one of the coldest and windiest days even their staff could remember, we evened out the dirt, mixed roughly 100 wheelbarrows of cement, poured and leveled the foundation, measured all the wood, and built the walls and roofing for us to put up on day two. 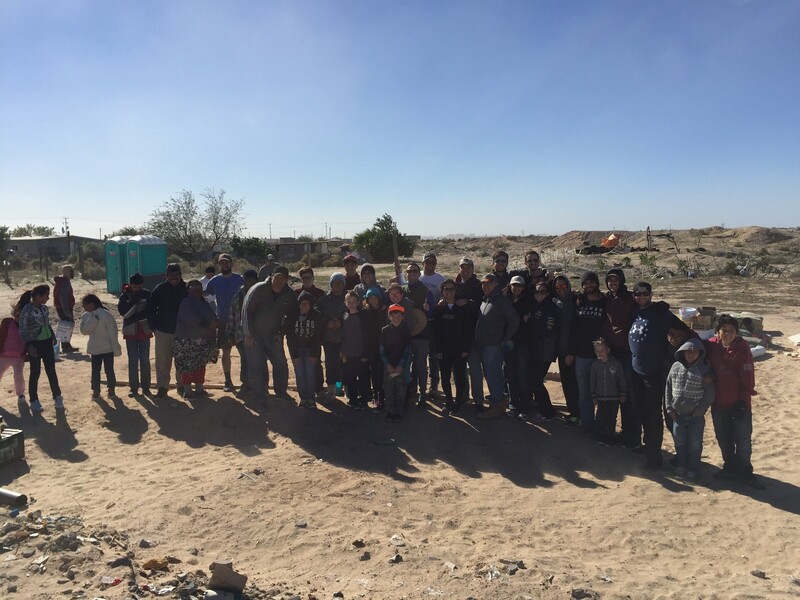 Mexicans and Arizonans alike worked side-by-side, joyful and jovial as we each did our part alongside what Brenda and Fausto had been working toward for months. This was the culmination of far more work than was being represented in this single weekend, and that was clear. 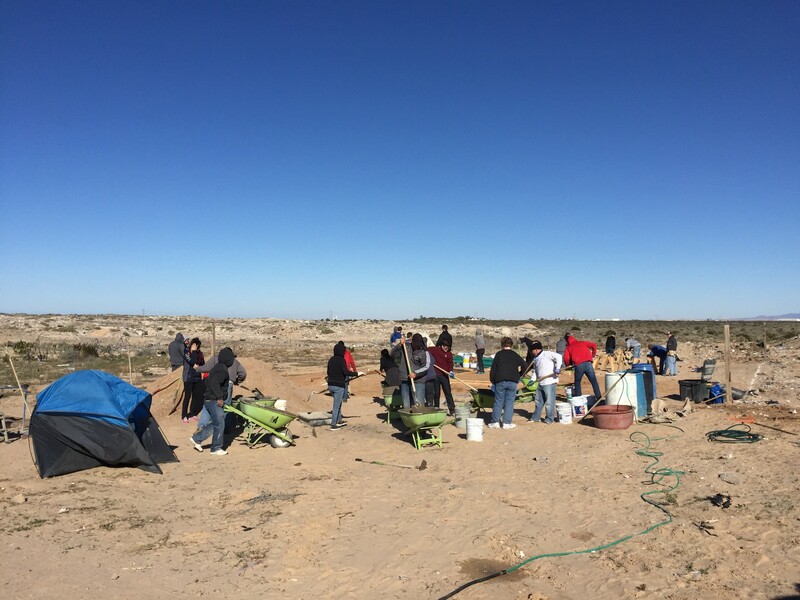 After a short and “mucho frio” day of labor, we left the site looking more prepared than when we arrived. After what felt like a only brief intermission of evening and rest, day two arrived quickly. 1MISSION prepared us for the fact that far more tasks awaited us. 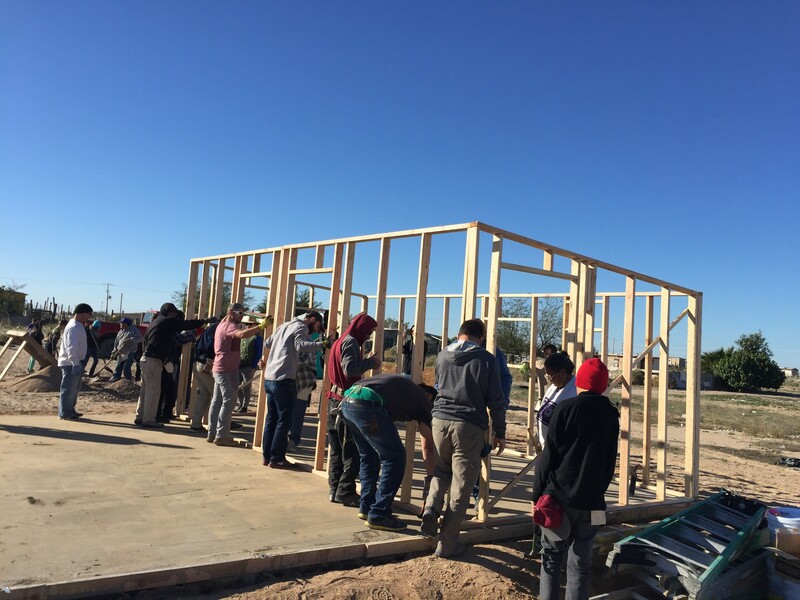 Joined by a growing number of barrio residents who jumped in to work without hesitation, we spent the second day putting up walls, raising the roof, protecting the roof, wrapping the walls in tar paper and chicken wire, adding the doors, and scraping on the first layer of stucco. It was no small feat, but everyone did their part to make it happen smoothly. And finally, after a third and final night of food and festivities, hearing stories from the barrio’s local entrepreneurs, and late fireside conversation — sure, maybe a little Tecate Cerveza, too — day three arrived, much warmer than the mornings before it. 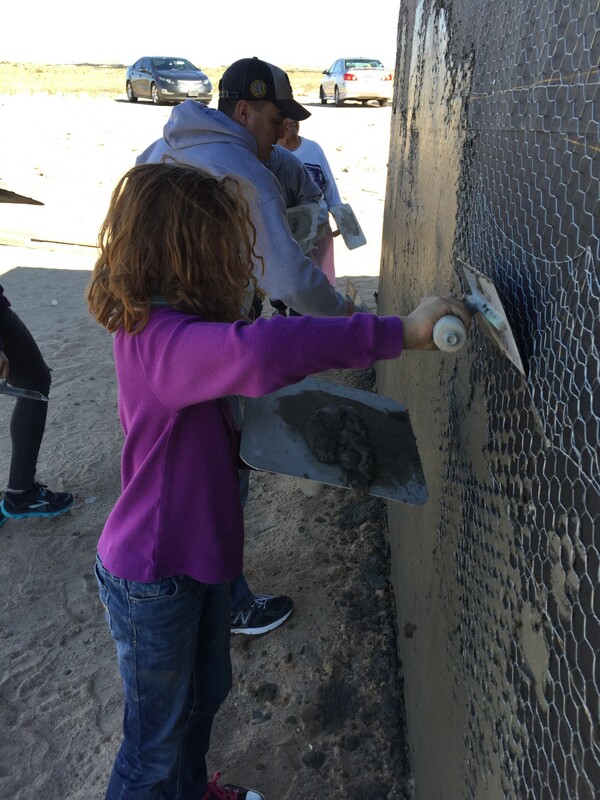 We spent the first part of the day scraping on a final layer of stucco and watching as pros like Jesus made sure the little details were tended to expertly. 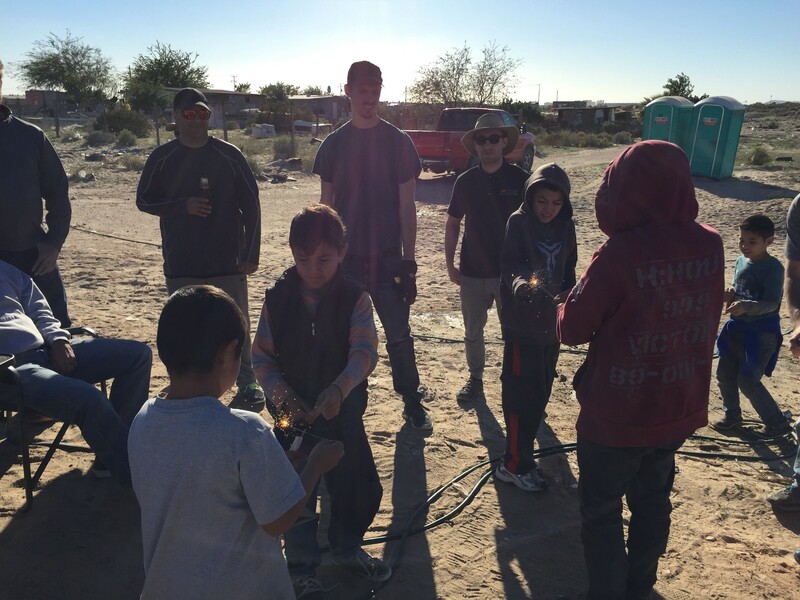 Throughout all of our building, American and Mexican children played and laughed happily in forts made of trash and leftover building materials, making friends even though they could not speak the same language. My son Tolan gave a boy named Miguel his new trick yo yo. Girls ran around laughing and chatting. Other locals made themselves at home sitting in the backs of everyone’s vehicles at lunch time and as we built. Likewise, young and old, male and female barrio community members worked with us (or rather, we worked with them), smiling and communicating as best we could — mixing, digging, hammering, sawing, lifting, lugging, throwing, climbing, painting. Each and every day, this was a team of beautiful humans, setting their hands to and eyes on the mission in front of us. To the family in front of us. Indeed. It surely changed me. 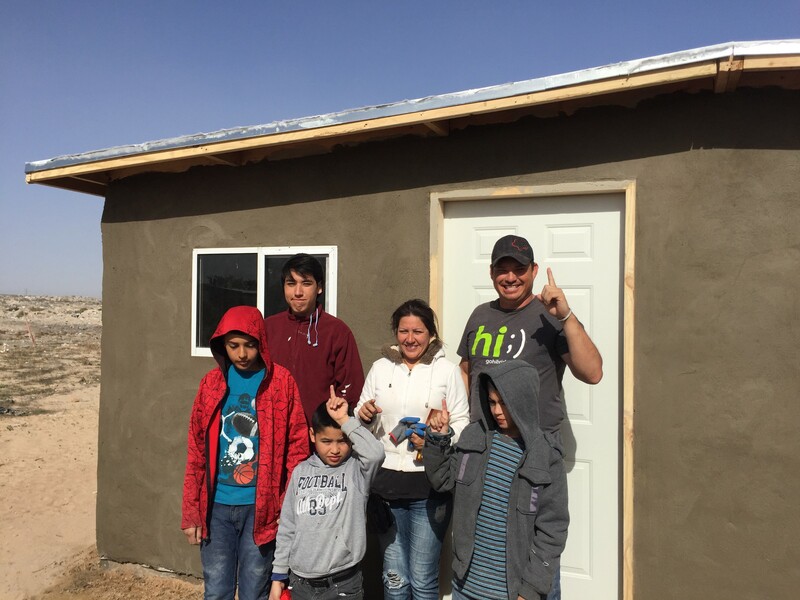 As a unified tribe, we all left Mexico changed, having witnessed and partnered together as this beautiful Arellano Montes family worked to change their own lives. 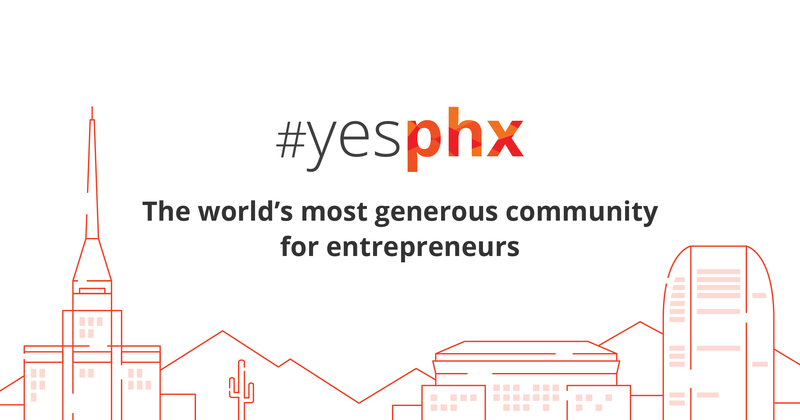 We’ve declared that Phoenix is building the most generous community for entrepreneurs, but people often ask what that means, exactly. How does generosity translate into the action of our startup ecosystem? While I could list a number of ways that we have been and continue to be generous toward one another, I have experienced no better example than the one we all witnessed in this life-changing weekend. Founders and mentors left their posts to roll up their sleeves and dig in. Spouses spent time with a community they didn’t know well before this weekend and flexed their muscles in all aspects. Politicians took time out of their busy schedules to walk the walk. Kids joined in and did whatever they could to help one another, with smiles plastered across their faces all weekend. Despite our differences in age, gender, race, roles, backgrounds, and perspectives, we united to build something that truly matters. 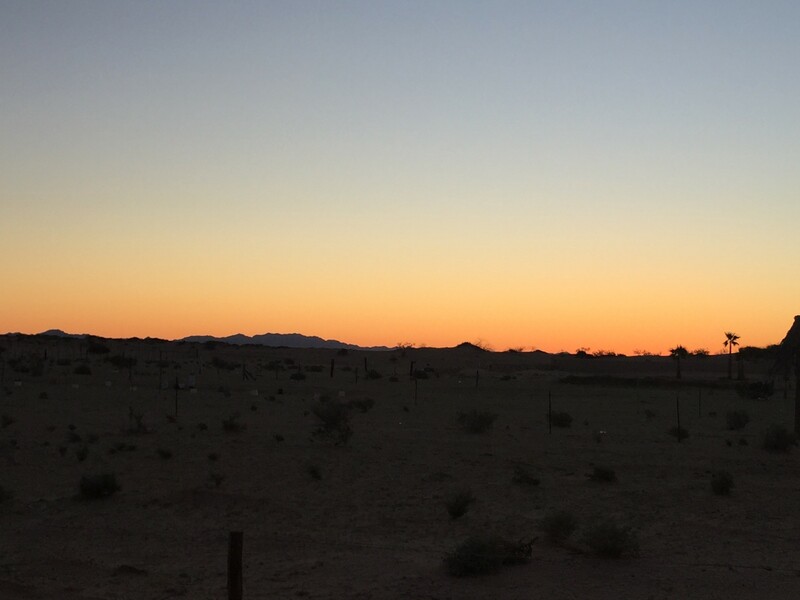 While I personally try to keep things apolitical when communicating on behalf of #yesphx, I will personally echo along with others in our community that it was very interesting to experience the juxtaposition of us building a home while our newly appointed POTUS reinforced his promises to build a wall and ban others from entering America. Whatever your own politics may be, I believe the best statement and stand we can make as a community against such actions will not be found on a piece of paper or in a joint statement, but in our united actions to do good. In short, this isn’t about just proving our own generosity or feeling good about ourselves. This was and is about helping others in need. If we are so passionate about change as entrepreneurs, then let’s be the change and strive to do the most possible good for others. What can we not change? Nothing. What should we do? Something. If you are interested in joining our next #yesphx trip to Mexico, signup now to attend next year. To learn more about this amazing organization and your many other opportunities to contribute to the cause, visit the 1MISSION website. Now go, be the change. And prepare yourself to be changed for the better.